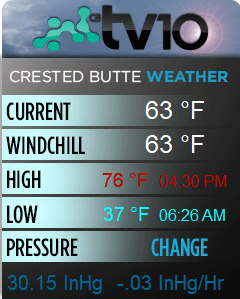 Yesterday was a great day for Crested Butte freeride athletes across the globe. 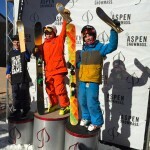 Athletes from CB were competing the Subaru Freeride Series in Snowbird, Utah, the IFSA Regional junior event at Aspen, Colorado, and the Freeride Junior World Championships in Grandvalira, Andorra. 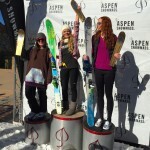 Above Photo: Ashley Bembenek and Kele Thorsen took 1st and 2nd in Snowbird at the SFS event. Brittany was all smiles at the bottom of her FWJC run in Andorra. The action kicked off Sunday morning in Andorra where Brittany Barefield represented the USA and the Crested Butte Mountain Sports Team at the Freeride World Junior Championships. She had a great run earning her 4th and the 2nd-highest American score behind the Altabird Freeride athlete, Jacqueline Pollard, who took 1st. Brittany’s CBMST coach, Will Dujardin, said, “Brittany’s run displayed fluidity and a lot of fun. She was first out the gate, set the tone for the women’s ski division, and put up a 75.00 that held up as a very strong result on the international stage.” A big thanks goes out the Sugar Bowl Freeride Team coach, Trevor Tanhoff, and Altabird Freeride coach, Steven Helfenbein, for coaching the American athletes in Andorra. Later that day, a handful of adult athletes were on scene at the first stop of the Subaru Freeride Series at Snowbird in Little Cottonwood Canyon, Utah. Ashley Bembenek and Kele Thorsen stormed the women’s ski podium in 1st and 2nd, respectively after lacing great runs down the famous venue, North Baldy. It was Ashley’s first win on the Freeride Series after many podiums over the years, she was in 1st place after the blustery day 1 action on Silver Fox and was able to hold on to the lead with the 3rd best run down North Baldy. After Kele Thorsen’s break out performance at the Crested Butte stop on the Subaru Freeride Series last year, it is great to see her carry the momentum into her first event this year. Her powerful run down North Baldy was littered with solid airs and was only 2nd on the day to the Jackson hole veteran, Crystal Wright, who finished 4th overall. 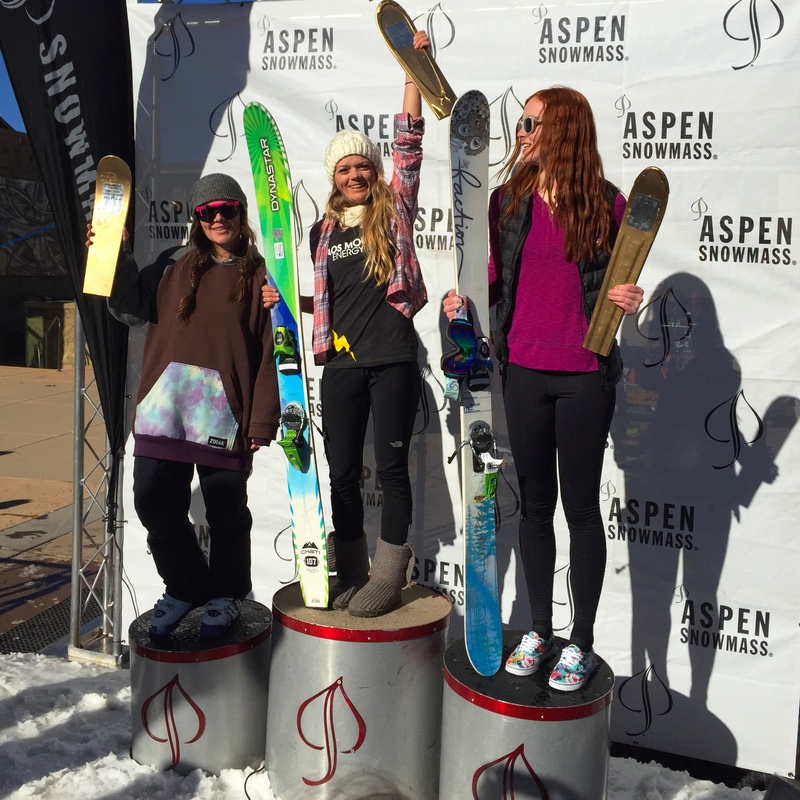 Alaina Heustis, a Snowbird snowcat driver, took 3rd while Katrina Devore of Aspen, Colorado rounded out the top 5. You can still watch the live feed of the finals at subarufreerideseries.com, Kele’s run starts at 8:14:50 and Ashley is 3 skiers following her. On the men’s side of things, CBMR Mountain Athlete, Rob Vandervoort, took 6th in a 26-deep Snowboard division, missing the top 5 by a third of a point after Jonathan Penfield took the victory. Fellow CBMR Mountain Athletes, Mark Mikos and Scot Chrisman, were unable to stick their lines in the Men’s Ski division, finishing in the back of the pack after falls. 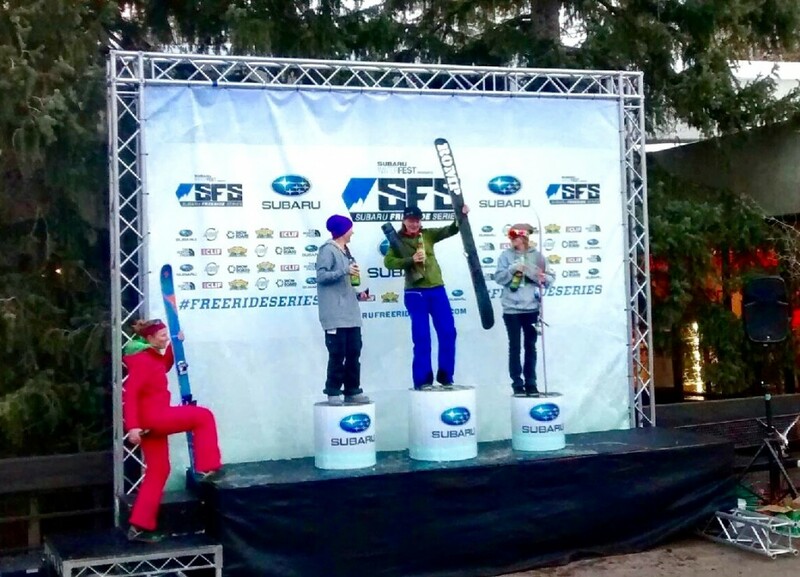 The day ended up belonging to recent IFSA graduate Grant Howard of Little Cottonwood Canyon taking first just ahead of Freeskiing World Tour and Freeride World Tour veteran, Lars Chickering-Ayers in 2nd. Andrew Pollard of Alta, UT took 3rd after his younger sister, Jacqueline Pollard, won the FWJC in Andorra that morning (remember when we posted this?). It was great to see our buddy, Riley Bergseng come back and take 8th after missing last year due to a broken leg suffered the year before. Connery Lundin took home the coveted Backcountry.com Sickbird award and 5th after a sick flat 3. While all this was going on, the Crested Butte Mountain Sports Team was in action at the IFSA Regional event in Aspen with 10 junior athletes. Dagan Schwartz represented in the 12-14 Male Snowboard division; Ella Haverkampf in the U12 Female Ski;Brooks Hudson, Jackson Warner, and Gus Bullock in the U12 Male Ski; Emma Patterson in 15-18 Female Ski; Matthew Harper-Johnston, Noah Buehler, Conrad Truettner, and Oz Scott in the 15-18 Male Ski. After two days of great skiing and riding on some creative venues thanks to this warm winter, the CBMST was able to walk away with 5 podiums, including two victories. Dagan, Ella, and Gus were all able to take 2nd while Emma Patterson and Brooks Hudson took 1st in their respective divisions. Oz Scott and Conrad Truettner had strong top-10 results in a huge 68-person field with 7th and 9th, respectively. Brooks and Gus went 1-2 in the U12 Male division. Even in this low-tide year, the freeride scene is thriving at Crested Butte Mountain Resort. A huge thanks goes out to Crested Butte Professional Ski Patrol for getting the terrain open that they can. Another thanks goes out to the park crew for maintaining the fun features we have in the terrain parks. Do your snow dances and keep shredding! The action continues with Francesca Pavillard-Cain and Mary Boddington on the Freeride World Tour in Andorra next week; the CBMST goes to Taos for a double IFSA event Regional/National the following week; and the Subaru Freeride Series continues in Telluride the first week of March.